The Rode RM2 Microphone Clip is a low profile professional stand mount for most RODE large condenser microphones. It screws onto the bottom of the microphone providing an easy and convenient attachment system for your large diaphragm condenser microphones. 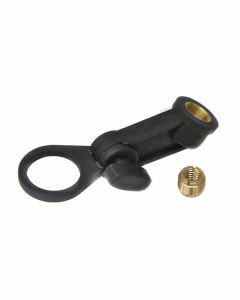 Includes 3/8-5/8" adaptor.